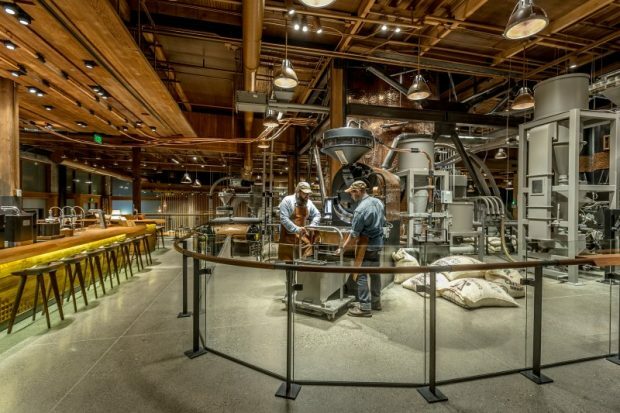 The Starbucks Reserve Roastery and Tasting room in Seattle, opened in December 2014. Since opening its flagship Reserve Roastery and Tasting room in Seattle in late 2014 — a facility that truly is a working shrine to craft coffee — the company has announced plans to open even bigger Reserve roasteries in New York and Shanghai. Now the company has announced plans to open a fourth Reserve roastery, in Tokyo’s Nakameguro district, in 2018. 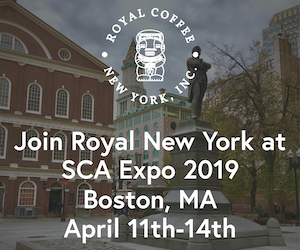 The company is partnering on the design of the roastery with famed architect Kengo Kuma, the founder of the Kuma Lab at the University of Tokyo who is known also for his writings and intellectual approaches to art and architecture. He previously worked with the company for the design of a Starbucks flagship concept store in Fukuoka, Japan, near the popular Shinto shrine Dazaifu Tenmangu. 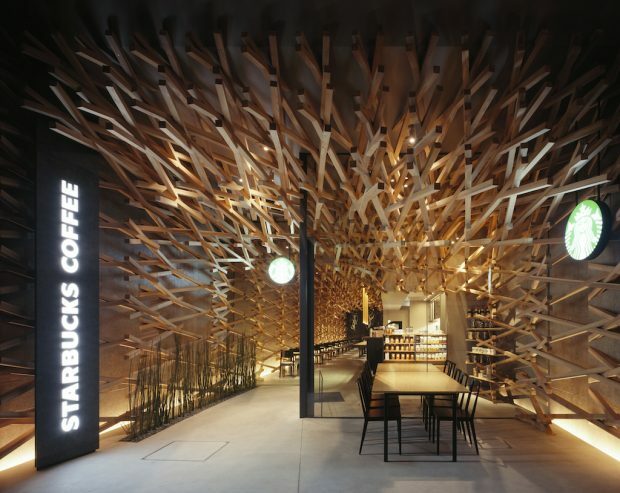 The Kengo Kuma-designed Starbucks at Dazaifu. Kuma will be leading the design of the new Tokyo Reserve Roastery. The company has not said when in 2018 it hopes to open the Tokyo Reserve Roastery.